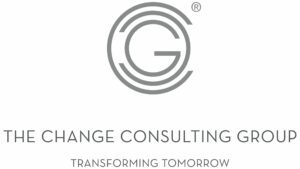 The Change Consulting Group (CCG) is a global management consulting firm with a specialist focus on business transformation and strategy implementation. We are strategy and organisational development consultants with a particular interest in managing the complexity and scale of the leadership, technical, cultural and structural changes that are increasingly being introduced into large organisations by The Fourth Industrial Revolution. Founded in 2002, we have offices in Johannesburg and Cape Town, South Africa and Sydney, Australia. We service a client base in Africa, Europe and Asia Pacific from these locations. Enterprise culture change in the context of restructuring, M&A, etc. We have an impressive track record of designing and delivering value adding solutions for organisations operating in just about every industry and service area, with deep sector experience in Financial Services, Retail, FMCG and Energy. Change is Hard, Start Today! Change has implications on the entire organisation it impacts and our four Practice Areas (CCG Advisory, CCG Consult, CCG Learn, CCG Analytics) provide our clients with a full suite of organisational development solutions that can we accessed in a singular or integrated fashion. Our services include organisational design, role definition, corporate culture analysis and change, leadership development, and our specialisation in enterprise change. This work is supported by deep experience in our support modalities of executive coaching and team facilitation. CCG applies a systemic and integrated approach to facilitating change at an individual, team, divisional and whole enterprise level. Our successful track record in attributed to Partner-lead programme delivery, our selection and ongoing development of outstanding consultants, and the application of our proprietary transformation methodology System7™. We pride ourselves on being globally trusted authorities on change implementation who are sought out as external advisors on strategic projects. These usually have a focus on the complex interface between commercial strategy, implementation of operational programmes of work and engagement with customers and staff. Make contact using the form below or through our Johannesburg office on +27 (0)11 282 0822, our Cape Town office on +27 (0)21 461 0802 or through our branch in Australia here.